See You In Space: Luc Besson Takes Us Into the World of Valerian! In a new featurette, Luc Besson talks about the genesis of his epic space opera, Valérian and the City of a Thousand Planets. Valérian opens on July 21st. Ten Hours Trailer: Valerian and the City of a Thousand Planets! The final trailer for Valerian and the city of a Thousand Planets focuses on Alpha, the city of a thousand planets – a city/universe ‘beyond imagining’ with its many aliens and strange environments. Directed by Luc Besson,Valerian and the City of a Thousand Planets stars Dane DeHaan, Cara Delevigne, Clive Owens, Rihanna, Ethan Hawke, John Goodman, Herbie Hancock and Kris Wu. Valerian and the City of a Thousand Planets opens on July 21st. He’s Teachable Trailer: Valerian and the City of a Thousand Planets! Dane DeHaan stars in EuropaCorp’s Valerian and the City of a Thousand Planets..Photo credit: Vikram Gounassegarin.© 2016 VALERIAN SAS Ð TF1 FILMS PRODUCTION. Luc Besson’s little ($180 million) passion project has its first full-length trailer and it is abso-frelling-gorgeous! Dazzling Trailer: Valerian and the City of a Thousand Planets! We’ve seen the released stills and a teensy teaser, but now we have the first full trailer and it’s pretty mindblowingly good. Valerian and the City of a Thousand Planets opens on July 21, 2017! Follow the jump to enjoy the trailer. Comic-Con 2016: EuraCorp Releases New Valerian Image! EuraCorp has released a new photo from Luc Besson’s Valerian and the City of a Thousand Planets. It features Dane DeHaan looking like he’s thinking, ‘Sonuvabitch must pay!’ (Apologies to John Carpernter’s Jack Burton…) Check it out after the break. Besson’s passion project space opera is slated for a July 21st, 2017 release in France, with North american dates TBD. First Look: Luc Besson’s Valerian and the City of a Thousand Planets! Dane DeHaan, and Cara Delevingne star in EuropaCorp’s Valerian and the City of a Thousand Planets..Photo credit: Vikram Gounassegarin.© 2016 VALERIAN SAS Ð TF1 FILMS PRODUCTION. EuropaCorp has released the first photos from Luc Besson’s epic space opera, Valerian and the City of a Thousand Planets. Based on the Valerian graphic novel by writer Pierre Christin and artist Jean-Claude Mézières, Valerian and the City of a Thousand Planets is set to premiere in France on July 17, 2017. Follow the jump to check out new photos from the most ambitious film of Besson’s career. First Luc: Luc Besson’s Valerian! Based on the Valerian graphic novel by writer Pierre Christin and artist Jean-Claude Mézières, the Valerian and the City of a Thousand Planets – set to premiere in France on July 17, 2017 – is the most ambitious of Besson’s career. Follow the jump to check out the new photo. Lucy Is a Magnificent Mess! No one has ever accused Luc Besson of being a master filmmaker – despite gems like Léon: the Professional, La Femme Nikita and The Fifth Element. Part of that is because he likes to juxtapose things that are utterly real with things that are utterly ridiculous. Usually, that means putting a down-to-earth old school spy next to someone who looks like Emma Peel, or creating an utterly fantastical world and making the lead a real-guy cabbie. With Lucy, he takes three genres – an intense drug thriller, an over-the-top action movie, and a psychedelic would-be philosophical statement – and crams them together in unexpected ways. Somehow, it works. 3 Days to Kill: McG Takes Besson’s Tendency to the Absurd and Makes It Sing! 3 Days to Kill may be directed by McG, but at its heart, it’s the combination of heart and absurdity that has become the hallmark of Luc Besson, co-author of the script and one of the film’s producers. 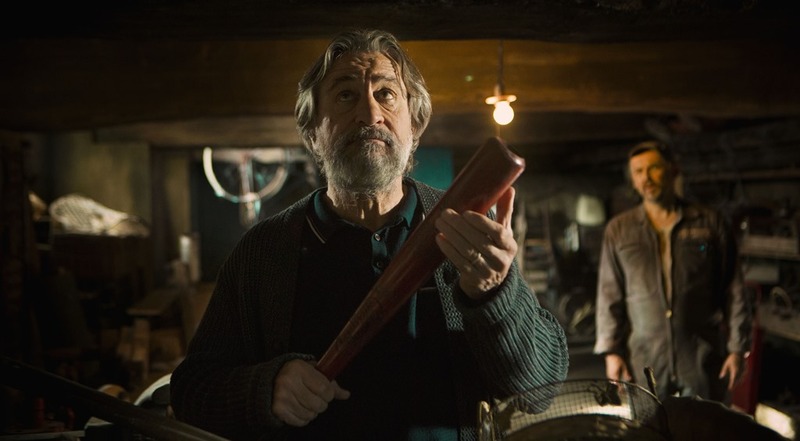 Sometimes that mix works (The Professional, La Femme Nikita, Fifth Element) and sometimes, not so much (The Messenger: The Story of Joan of Arc, Taken 2). Thanks to a stellar cast and McG’s energetic direction, 3 Days to Kill is great fun. The Family’s Dark Whimsy Carries The Day – Barely! Luc Besson is a master of taking different genres and infusing them with whimsy. With The Family he applies that gift to the mob movie with mostly successful results. Too bad it’s the last fifteen minutes that veer off into a whole ‘nother movie.